Volvo XC60 Performance, Engine, Ride, Handling | What Car? Trawling through the engine line-up on many modern cars can be bewildering. 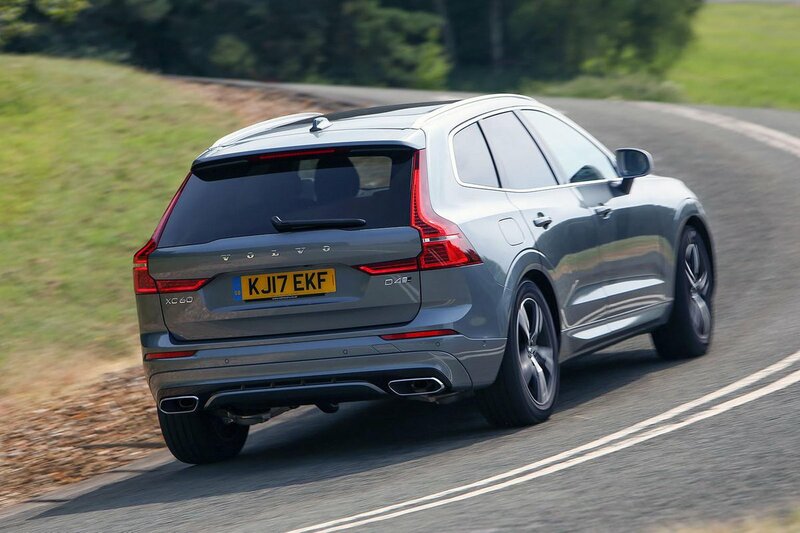 Thankfully, that’s not the case with the XC60, because there are just four choices: the 188bhp D4 and 232bhp D5 2.0-litre diesels, the 247bhp T5 2.0-litre turbocharged petrol and the T8 plug-in hybrid, which combines a 299bhp version of the 2.0-litre petrol with an 86bhp electric motor. While the D4 won’t make you yelp with elation every time you put your foot down, it has more than enough everyday vim and vigour for most people. So whether you’re knocking about in town or trundling down a slip road for yet another bout of M25 madness, rest assured there will be respectable pace delivered in an unstressed manner. True, an Audi Q5 2.0 TDI 190 is slightly brisker, but the D4 is decidedly quicker than a Land Rover Discovery Sport 2.0 TD4 180. Those who need more can sate themselves behind the wheel of the D5, which offers better response and an extra slice of mid-range get-up-and-go. If you’re dead set against diesel, then there are the T5 and T8 models. We have yet to try the T5 but, from our experience of that engine in other Volvo models, it’ll be brisker than both diesels, although you'll have to rev it harder to extract its performance. Meanwhile, with a vast reserve of up to 385bhp from both the petrol and electric motors, the T8 charges from 0-62mph in a little over five seconds, with the electric motor adding more guts at low revs as well. Officially, it can also do up to 28 miles on electric power alone with a full battery charge, although we managed (a still impressive) 22 miles on a varied test route. It is significantly slower on electric power alone, but it has enough punch for urban environments and will gently accelerate up to motorway speeds. 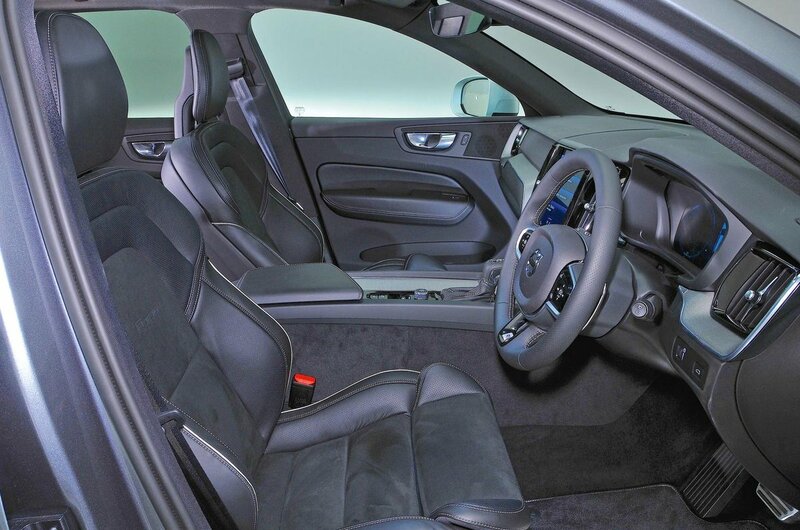 Either way, you’ll get an eight-speed automatic gearbox as standard. 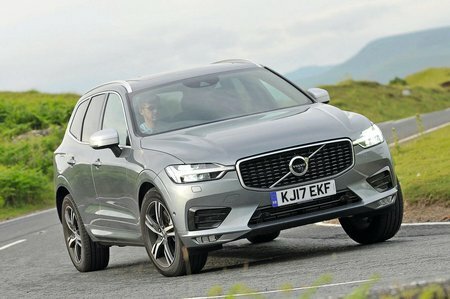 This blurs its changes well enough that you won’t feel too many of them, but it is sometimes a little hesitant to change down, leaving the XC60 labouring in too high a gear – when you want to enter a roundabout briskly, for instance. Although a Q5 (with optional air suspension) is by far the best-riding car in this class, an XC60 that's also on optional air suspension is pretty fine, too. Dial in the more comfortable of the two settings (aptly labelled Comfort) and the XC60 positively wafts over soft-edged peaks and troughs at speed, making it particularly adept for long stints on motorways. Hit a sharp-edged ridge or pothole around town, though, and the car is more likely to thud through the body than the Q5, but it still remains more composed than a Discovery Sport or DS 7 Crossback. The only issue is the ride deteriorates badly when you fit 19in or bigger alloy wheels, so stick to 18in ones if you want the car – and you – to stay supple. The air suspension is pricey, so mercifully the standard-fit steel suspension is a pretty good compromise for UK roads for anyone with a constrained budget. There’s a pleasing aloofness from large lumps and bumps, such as sleeping policemen, although expansion joints and ragged potholes can still ruffle your feathers. Again, stick to smaller wheels to avoid exacerbating the problem. You’ll only need to drive the XC60 round a couple of corners to realise Volvo’s claims about sporty handling are misleading. If you’re hoping for an SUV that grips and changes direction like a Porsche Macan or even a Jaguar F-Pace, you’ll be disappointed; even the ‘sportier’ R-Design trim, with its firmer suspension, pitches and wallows when pushed hard. This is particularly noticeable on the T8 plug-in hybrid. The big battery pack and electric motor add an awful lot of weight to the rear of the XC60, making it feel much more cumbersome in bends than the conventionally powered versions, while it also leans over more and proves much less keen to change direction. The powerful petrol engine also overwhelms the front wheels and causes the steering wheel to writhe under hard acceleration. Arguably, the majority of buyers won’t care about that, because SUVs aren’t supposed to be sports cars. And providing you’re not driving every corner at breakneck pace, the XC60 grips fairly well and doesn’t lollop onto its door handles around tight twists and turns. But even less sporty rivals, such as the Q5, feel far more eager to turn in to bends and more stable through them as well. The steering is weighty around the straight ahead, so the car tracks assuredly on motorways. It’s relatively accurate in corners but, instead of weighting up consistently as you apply lock, it remains too light, leaving you rather wary of pushing hard. Switching to Dynamic mode adds some much-needed heft, but you never quite lose that detached feeling that ultimately robs you of confidence when pushing on. Mind you, there is a benefit to that lightness; around town, the XC60 is no effort at all to thread along back roads and into parking spaces. Volvo’s diesel engines aren’t the quietest around. It’s the background rumble at idle that seems most out of place in a £40k SUV, while the buzz when you accelerate, while not harsh, would raise an eyebrow or two from the owners of super-smooth Q5s. Yet the XC60 still isolates you better from engine noise and vibration than a Discovery Sport or Mercedes-Benz GLC. Naturally, the petrol engines are quieter, both at idle and when accelerating. And of course the T8 can play its trump card of running on electricity alone, making it near silent, although this does highlight other noises. The suspension goes about its business quietly the majority of the time, although there is a loud bang when you hit a pothole and the XC60’s mirrors also whip up a fair amount of wind noise on the motorway. Road roar is reasonably well mannered, though. So, all things considered, while the Q5 is quieter overall, the XC60 is still a perfectly decent long-haul companion.